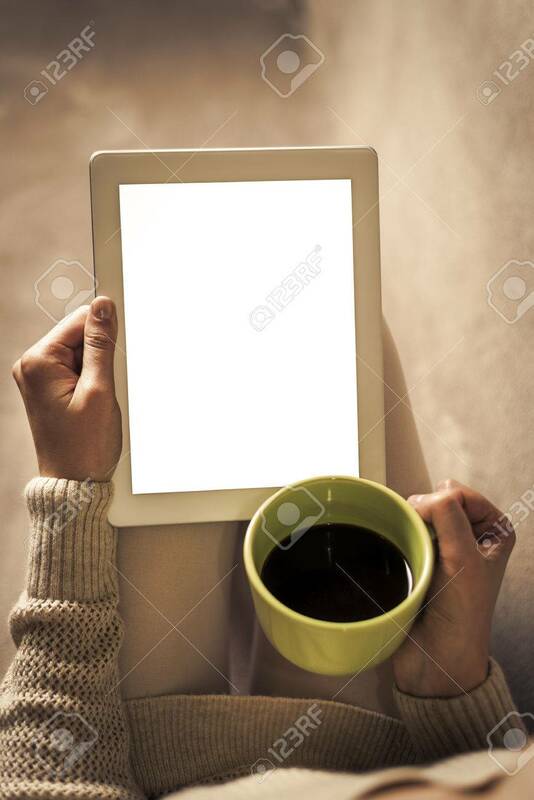 Woman On The Sofa With Tablet And Cup Of Coffee In Hands. Toned.. Stock Photo, Picture And Royalty Free Image. Image 38012612.